The wait is over. X-T30 features are known although some of the specs might be wrong. So I've been comparing it with the surprising X-T100. X-Trans vs Bayer. X-Trans is silly now that Bayer sensors are sufficiently hi-res not to have anti-aliasing filter, but I can deal with X-Trans. Tilt vs flip-out screen. 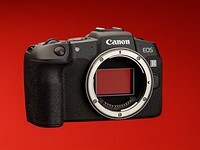 Seems like flip-out is better, but Canon stopped putting it on the G series, making me think it is unreliable long-term. Joystick vs Directional pad. All my cameras for a long time have had D-pad, and every one had different items on it. Looking at the X-T100, the items are different again, and don't seem like stuff I use often. I'll have to try joystick before approving it. Shutter vs PASM. The shutter speed dial is dumb. I adjust aperture but let the camera adjust ISO and shutter speed. Huge victory for the X-T100, which has a programmable dial for those who do adjust shutter speed. Q button on thumb rest - jury is still out. Video and continuous autofocus. Are these worth the extra money? Maybe. Weight. X-T30 is lighter, I'm not sure why. To summarize, guess I want an X-T30 with PASM.